While recollections of Christmas gifts from childhood may fade over time, the memories of food and gatherings with friends and family instantly return with the first smells of Christmas pine needles. 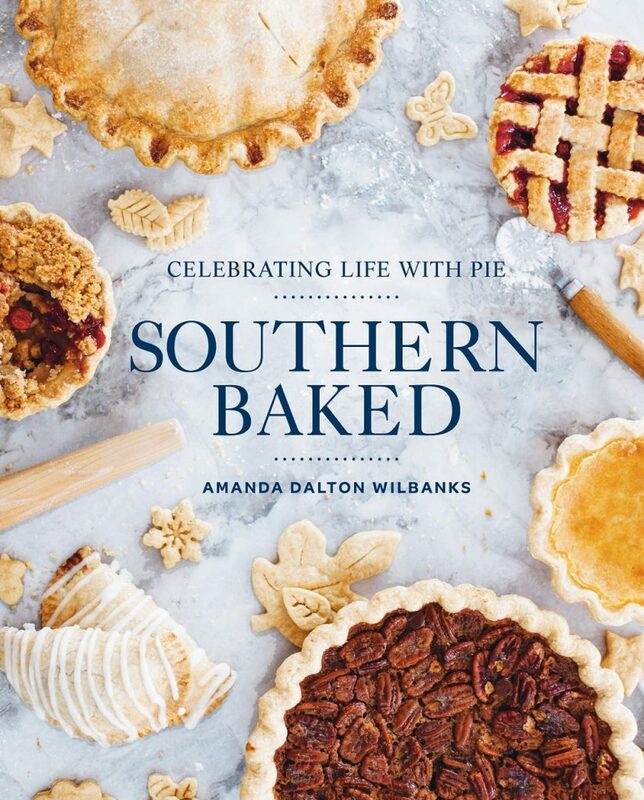 That holds true for Georgia native Amanda Wilbanks, author of “Southern Baked: Celebrating Life with Pie”and founder of the Southern Baked Pie Company. As a child, she began her Christmas Eve in the same magical way every year. Aunt Betty Jeanne had an all-white dining room and would decorate it differently every year. She loved to cook and entertain, which added to the magic of the season. Celebrating holidays at the lake doesn’t need to be fussy to be special. Wilbanks recommends that you keep it simple so that you can spend time at the lake relaxing. 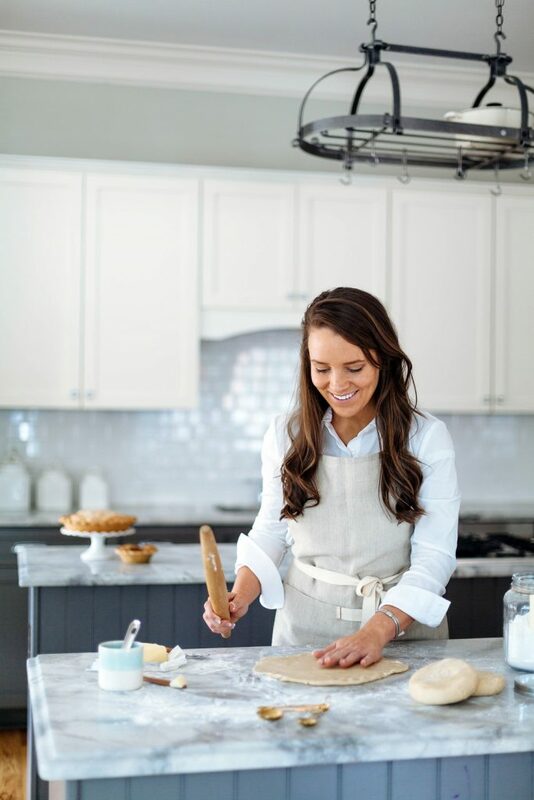 Sweets have always been one of Wilbanks’ favorite things to prepare. As soon as guests would walk into the door at Aunt Betty Jeanne and Uncle Bob’s, they’d be handed a glass of Spoon-Worthy Eggnog that was an elegant before-dinner cordial. Wilbanks continues that tradition, preparing it every year. Her Cranberry-Pear Pie, which tastes like Christmas in a dish, is perfect to take to the lake because it can be made ahead of time. It tastes even more delicious with a scoop of ice cream served on the side. And, the holidays would not be complete for Wilbanks without her grandmother Betty’s Christmas Scramble. Her grandmother still gives Wilbanks and her cousins tins of Christmas Scramble each year to take home on Christmas Eve. Bring the taste of the holidays to your own lake gathering with a few of Wilbanks’ special recipes. Every Christmas, my grandmother Betty allowed me to help her make this recipe. I would stand on a chair, because I wasn’t tall enough to see over the counter, and mix everything up in a big metal pan. The thing I loved most about cooking with her is that she always let me mix things with my hands. I learned so much about the different textures of foods and the way foods blend together by working with my hands. There is something about getting your hands dirty when cooking that just makes you feel accomplished. In a small bowl, mix together the oil, Worcestershire sauce, garlic salt and seasoned salt. 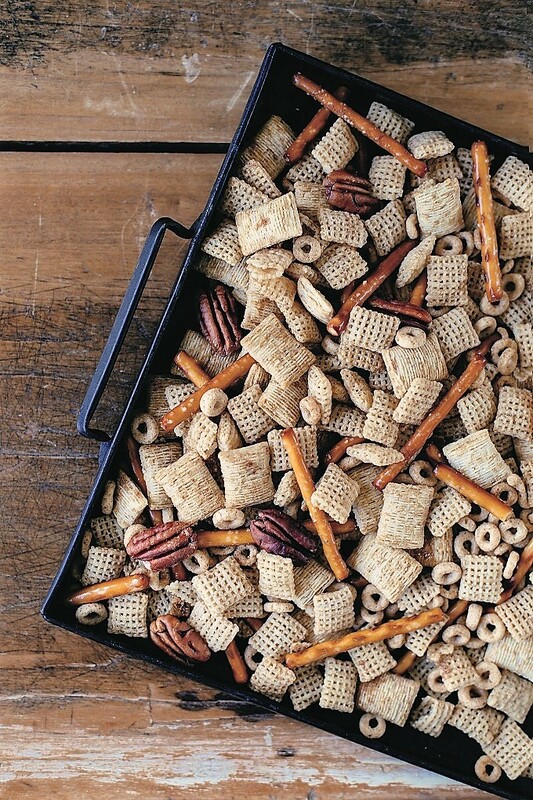 Mix pecans, cereal and pretzels together in a large roasting pan and drizzle with oil mixture; stir to coat. Bake for 2 hours, stirring and turning mixture with a wooden spoon every 15 minutes. Be careful not to crush. Of all the recipes I make, this dish tastes the most like Christmas to me. Between the warm spices like cinnamon, cloves and nutmeg, and the tart cranberries and soft, sweet pears, it has all the flavors you associate with the holidays. And the best part is I make it with a lattice-top crust that I let my children help me weave together. The pie is a labor of love as much as it is a delicious dessert. Roll out dough into 2 (12-inch) circles. Line a (9-inch) pie plate with 1 circle of dough. Place pie plate and remaining dough in the refrigerator while you prepare the filling. Mix pears, cranberries, sugar, cinnamon, cloves, nutmeg, flour and cornstarch in a large bowl, coating the fruit. Spread filling into pie crust. Cut remaining dough into strips. Lattice weave the strips over the filling; flute edges. Bake for 15 minutes. Reduce temperature to 350 degrees and bake for 45 minutes, or until golden brown and bubbly. Cut the butter into small cubes. Combine butter and flour in a mixing bowl. Using a pastry blender, work the butter into the flour. Add the salt and sugar. Continue to work the butter into the flour until the mixture has a consistency of coarse-ground cornmeal. The cubes of butter should now be smaller than the size of a green pea. Add the water, all at once. Continue to work the dough until the dough begins to come together. Form the dough into a ball, wrap with plastic wrap, and press into the shape of a disk. Place in the refrigerator for 2 hours to chill. Remove dough from refrigerator and roll out to desired size on a lightly floured surface. 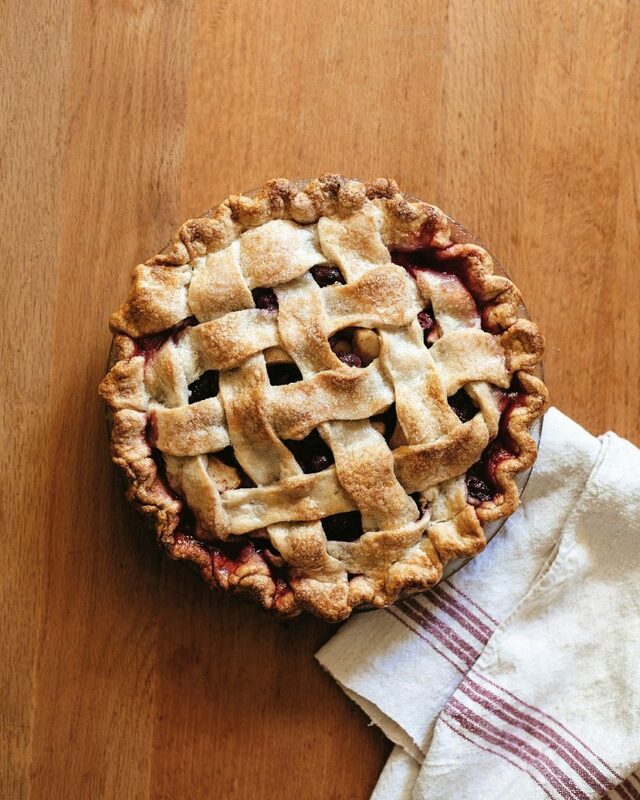 Tip: The trick to making delicious pie dough is using cold ingredients. I even chill my flour, salt and sugar. Starting with very cold butter and ice- cold water will make a world of difference when it comes to the texture of the dough. 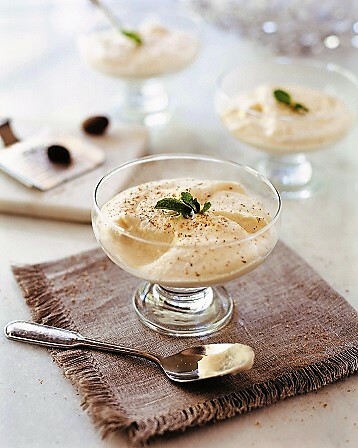 This rich, creamy eggnog is the recipe my Uncle Bob made famous in our large, extended family. My mom asked him to teach her how to make it, and now she always makes it on Christmas Eve. She has graciously passed the recipe down to me. It’s a bit of a spin on the traditional version. In fact, it’s so thick you have to eat it with a spoon! Nevertheless, it’s absolutely divine, and if your holidays are anything like mine, you’ll have half the guests asking for the recipe by the end of the night. Separate egg yolks and whites. Beat yolks and sugar together in mixer on medium speed. Add the bourbon, rum and brandy and continue to mix until well-combined. Set aside. Whip egg whites in mixer until stiff peaks form. Fold into the egg yolk mixture. Set aside. Whip cream in mixer until soft peaks form. Fold into egg mixture. Serve immediately, garnished with a sprinkle of nutmeg and fresh mint.